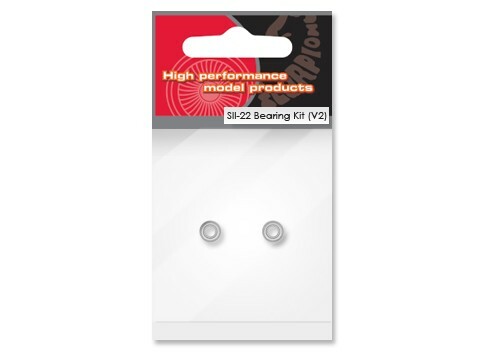 In order to keep your motor in top running condition, you need a good set of bearings. Occasionally, after a crash or landing in the dirt, the bearings can become damaged and need to be replaced. The Scorpion SII-22 Motor Bearing Kit includes a pair of original equipment replacement bearings to fit both Scorpion SII-22 series motors.